Dressing up in costumes is an important type of play and should be experienced by all children. Today we will be pirates, the next day a Superhero and the next a Prince or Princess of the castle. By wearing a costume, this will reinforce scenarios that they may have already experienced in order so that this has profound positive effects on their development. With a vast imagination, by dressing up, the child will be able to empathise and to make connections and to root their imaginative stories in reality. For example, if they wear a Superman costume, they will practise helping people and being brave. The children are likely to explore new language and vocabulary. What would a space explorer or a King say…? Then there comes the important challenge of developing physical skills: buttoning up, zippers, pulling arms in sleeves etc. 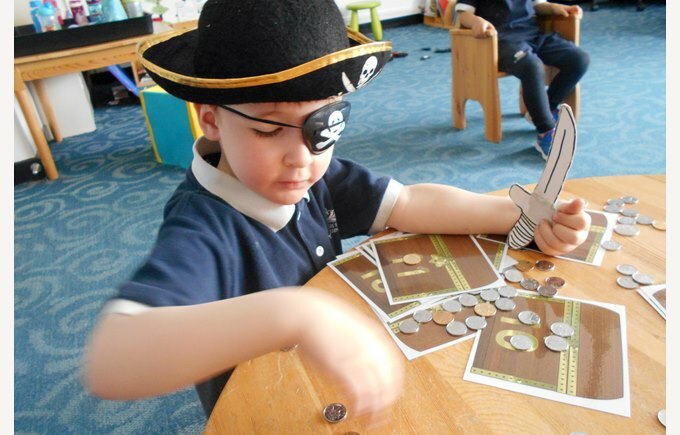 Dressing up is an excellent opportunity for the children to develop their independent skills.